Our featured video this week comes to us thanks to U.S. Olympian Esther Lofgren, 2012 gold medalist in the women's eight. Here, Lofgren shares some of her thoughts on an Olympic final from Athens, which included some of our sport's most important and influential names. You’ve posted a lot of the videos I watched while training and that I encourage my athletes to watch. One I think does not get enough love is the 2004 W2- Olympic final featuring the Romanian greats Georgeta Andrunache [formerly Damian] and Viorica Susanu. Susanu is the last rower I recall who reaches around her knees in sweep. The catches, connection, and rhythm are beautiful, and the rowing (at 37+, in an Olympic final, etc., etc.) looks effortlessly efficient. "The catches, connection, and rhythm are beautiful, and the rowing (at 37+, in an Olympic final, etc., etc.) looks effortlessly efficient." Anyway, I really like watching that race because there are so many good things to watch in it, plus it's beautiful, glassy water, so you can really see what some of the technical aspects look like. 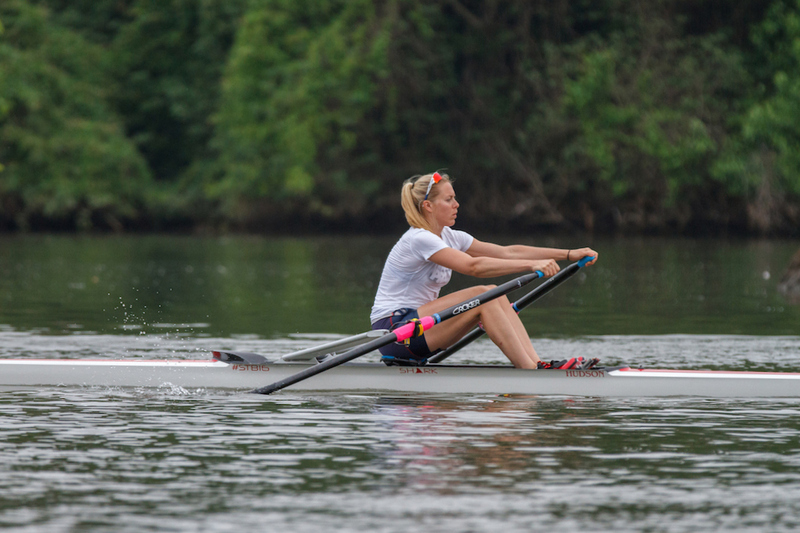 I never raced in a 2- at worlds or the Olympics, so I bite my tongue a bit as I say it, but this video is also helpful to watch because there are some good examples of rowers working very hard, but with less of their efforts translating into boat-moving. The video cuts between the different boats emphasize the "smooth is fast and fast is smooth" that rowers are always trying to understand and lock into. Thanks very much to Esther Lofgren for her time! Next week check out Michigan Men's Rowing head coach Gregg Hartsuff's favorite video (can you guess what it is? ).